As a critic, I live for the thrill of discovery, for the aesthetic high of stumbling upon a song or movie or book that opens up a whole new world and exposes me to an artist I know I’ll adore for decades to come. I had just such an experience recently while looking up YouTube clips for my recent George Strait Nashville Or Bust piece. I’m not entirely sure how, but I accidentally clicked one of those “related video” links. I was instantly transfixed by a haunting, mysterious voice quivering with pain and naked emotion. It was a ghost in the machine that transformed the curious cyber Wild West of YouTube into the saddest honky-tonk in existence. The voice boasted an almost painful intimacy and bruising intensity; it was as if this spectral croon was whispering secret thoughts into my ears. It felt like an after-midnight confession from a man just barely holding on to his sanity and fragile peace of mind. It was beautiful and heartbreaking and lonely and desperate and sad. For the next hour or so I played the song over and over again, luxuriating in its exquisite melancholy. A country song hadn’t affected me so powerfully since I heard Billy Joe Shaver’s “I Been To Georgia On A Fast Train,” one of the key inspirations for this series, for the first time. 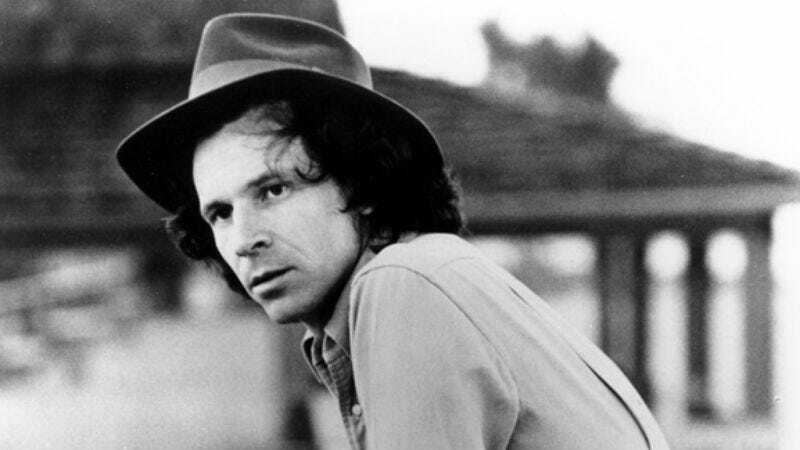 The singer was Gary Stewart, the son of a coal miner who attained modest success in the ’70s by fusing Southern rock and honky-tonk before labels decided he was too country for Southern rockers and too rock for country audiences. The song was “Drinkin’ Thing.” It’s an insanely catchy howl of despair from a troubled young man who gets blackout drunk every night in a desperate, invariably doomed attempt to forget that his girlfriend is cheating on him. The narrator drinks to forget, but no amount of alcohol can purge the taunting image of where his woman has been, who she’s been with, and what she’s done. Country is full of songs about booze and heartbreak, but “Drinkin’ Thing” elevates the barstool lament of a man driven half-insane by the prospect of his lover’s rampant infidelity to the level of psychodrama. In the song’s most heartbreaking passage, Stewart reflects, “If I wait at home, I’ll only ask her questions / She’d probably tell the truth, so I don’t even ask / So I sit here on this barstool, feelin’ helpless / And I wonder just how long a man can last.” It’s a fresh vision of relationship hell from a man who’d rather endure the paranoia and torment of always suspecting the worst than risk having his darkest suspicions confirmed. “I wonder just how long a man can last” sounds borderline suicidal. Just as the protagonist in the song is barely holding on, Stewart sounds perpetually on the verge of losing control, of letting the wild quiver in his vibrato devolve into anguished sobs or a full-on nervous breakdown. It’s a testament to his hypnotic vocal that I barely noticed that the song rhymes “thing” with “things”—twice. Carson and Stewart proved a winning team. Their third collaboration on Out Of Hand, “I See The Want To In Your Eyes” finds them revisiting the theme of infidelity, only this time Stewart is empathically eyeing a married woman torn between the responsibilities of matrimony and the forbidden promise of letting herself be seduced by a stranger. In Stewart’s tragic world, matrimony and infidelity both hurt like hell, and whiskey only temporarily dulls the pain that needs to be faced anew every hangover-addled morning. Ah, but “Drinkin’ Thing,” “She’s Actin’ Single (I’m Drinkin’ Doubles)” and “I See The Want To In Your Eyes” are downright peppy compared to “Ten Years Of This,” a song Carson co-wrote with Stewart for his 1977 album Your Place Or Mine and a favorite of Bob Dylan’s. In perhaps the most despairing anniversary song ever written, Stewart looks back on what he describes with poisonous sarcasm as “ten years of wedded bliss” and wonders if his fragile psyche could withstand ten more years of anguish, of “ten years together” and a “million nights alone.” “What ain’t dead by now is dying / What in hell kept us together for ten years of this?” Stewart wonders aloud as he broods over his wife’s cheating, his own binge drinking, and the self-hatred that keeps two desperately unhappy people trapped in a waking nightmare of a marriage. Stewart was downright monomaniacal in exploring the intersection of drinking, heartbreak, and suicidal depression. Stewart sings, “I want to get sloppy drunk, I want to get loose” on the tellingly titled “Broken Hearted People (Take Me To A Barroom)” with as much conviction as Willie Nelson singing, “On the Sunday morning sidewalk / wishing, Lord, that I was stoned” on “Sunday Mornin’ Comin’ Down.” Stewart wrings every last bit of anguish from the lyric “living with a liar is a hard old way to go / laughin’ just to keep from crying ain’t no way to grow old.” He inhabits the harrowing emotions of his tearjerkers with frightening conviction. Listening to Out Of Hand and Your Place Or Mine, which have been rereleased as a single disc, I worried for Stewart. So I can’t say I was surprised to discover that his life and career nosedived after his ’70s heyday. Stewart didn’t just sing about drinking and depression; like far too many country artists, he lived his art. He battled alcoholism and drug abuse and released only three studio albums between getting dropped by RCA after 1983’s Those Were The Days and his death in 2003. Stewart’s life was as sad as any of his songs. His son committed suicide in the late ’80s. After Stewart’s wife of 43 years died of pneumonia in 2003, he fatally shot himself in the neck. Stewart stared down the abyss in song after song; clearly, the free-floating anguish that characterized his most resonant albums and songs permeated his offstage life as well. He lived and died for his art and leaves behind a legacy of beautiful pain.